Villa's Community Integration Program (CIP) is a community based day program designed to meet the needs of adults living with intellectual/developmental disabilities who have a strong desire to work and would like to continue building their employment related skills through supervised volunteer opportunities, as well as independent living skills training. CIP is offered at Villa's Pasadena and West Region locations. 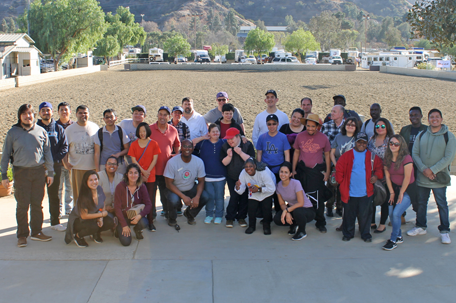 Villa assists adults who are looking to transition into an Employment Program. 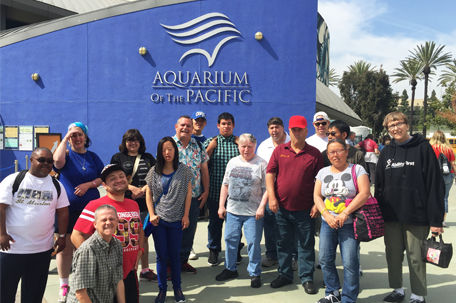 The CIP Program provides adults, often recent graduates, with the opportunity to develop their job and social skills while volunteering and being active in the community. The story below highlights one success story from Villa's CIP Program. Teresa caring for her furry friend, Vermont, through Villa's CIP Program. 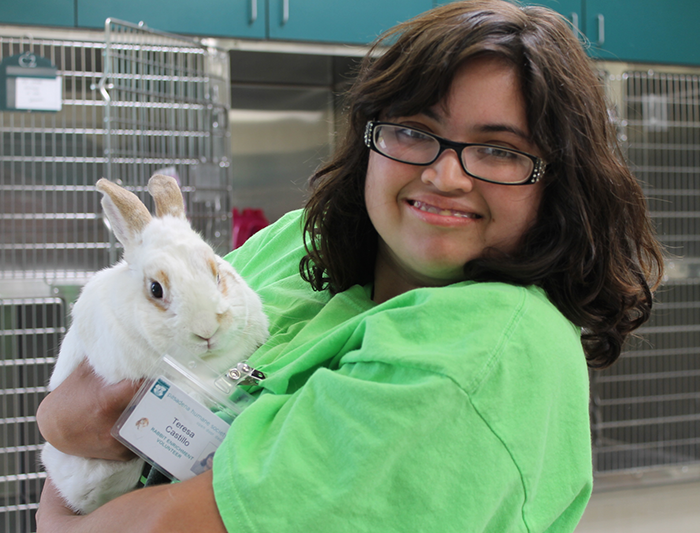 It’s Wednesday morning, and twenty-four-year-old Teresa Castillo can hardly contain her excitement as she prepares for another day volunteering at the Pasadena Humane Society’s (PHS) Rabbit Enrichment Program. “The Humane Society is my favorite volunteer site,” Teresa shares. “I like working with the bunnies and helping them do exercise.” As a client in Villa’s Community Integration Program (CIP), Teresa learns valuable job skills through supervised volunteer opportunities with the goal to transition into paid employment. Teresa assists PHS staff with cleaning the rabbits’ housing area, setting up their playpens, and providing them with social interaction and stimulation. Teresa knows to ask supervising staff for guidance along the way—requesting feedback is just one of the valuable employment skills she has gained through participation in CIP! Since joining CIP in December 2015, Teresa has become more outgoing. In fact, she made such strides during her first year in CIP that she was awarded the CIP Achievement Award this past November in recognition of her outstanding work. 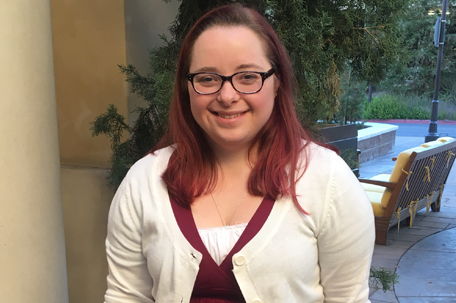 Today, Teresa is eager to partake in new experiences like the weekly course “Functional Living for Intellectually Disabled Adults,” presented by Pasadena City College in partnership with Villa. Teresa actively engages in these lectures by raising her hand, answering questions and paying attention to the variety of topics covered such as personal safety. Vicky Castillo, Teresa’s mother and Villa’s Chief Financial Officer, has noticed a difference in Teresa’s attitude and shares that “her self-confidence has been affected. She’s livelier. 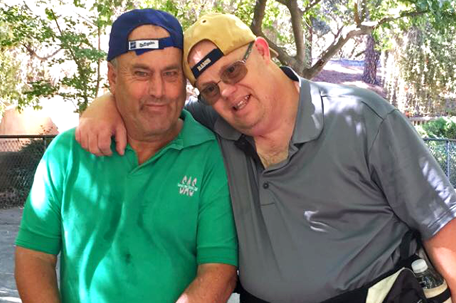 The feeling of contributing is important for Teri.” Like many individuals with intellectual/developmental disabilities, Teresa wants to be a productive member of her community and to take pride in her work. Volunteerism not only offers Teresa a sense of belonging, but it has also given Teresa and her mother Vicky more to talk about at home. Whether Teresa is sharing her latest experience with the bunnies at PHS or her passion for the Star Wars franchise, her growth through CIP is evident to her friends, family and Villa community.